Last night was one of the best wins of the season, made better by the utter thrashing of noted zilch Jonathan Papelbon. 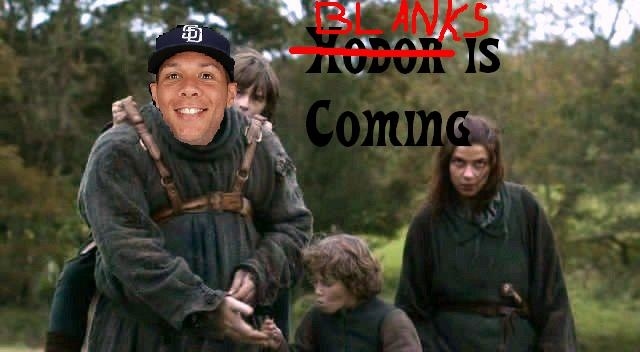 The spirit of the Rally Unicorn was strong in the 9th inning, and especially with Padres soon to be hall of famer Kyle Blanks crushing balls via bloop singles and grounders thrusting into holes (entendre!). Tonight staff ace Jason Marquis goes for his 10th win and Kyle Blanks goes for 18 home runs in a game. Although, it would be such a Bud Black thing to do to sit Blanks for some stupid righty lefty matchup.